1. What initially got you interested in cosplay and what aspect of it do you love the most ? Well, what first got me into cosplaying was this little Anime & Manga Appreciation club I joined back in 2009 in my secondary school, we ended up going to the May MCM Expo at the London Excel center. This was when I got my very first cosplay, which I bought online, a character called Ichigo from the anime Bleach. It was a terrible costume and the character didn't suit me very well, but I enjoyed it so much, the convention, the atmosphere and the people; it was all just so amazing.
" From there on I attended every single London MCM Expo now called London comic con, I still attend it to this date but now proudly showing off my own handmade costumes. " The thing I love most about cosplay is the workmanship I put into my costumes, but it also comes with the amount of fun you have being at the conventions in the costumes and the people that appreciate them. 2. Which cosplay convention is your favorite and why ? I personally haven't been to many conventions but the one that stands out the most to me is London Comic con, obviously, since it was my first and has been the best experiences I've ever had. Other than that LFCC (London film and comic con) this was a good convention, but it is what it says in the title, so I wasn't that interested, but they have great guests! 3. Why did you decide to study photography as oppose to costume design ? I had been studying photography before I went to my first convention, but I didn't start creating my costumes till 2013. Since 2009, I had been buying them all online so no skill was put into it. I did not realise my hidden talent at the time. 2013 was the year I began attending university for my photography BA and that's when my costume making came into full whack. In the beginning of my third year, I began realizing that I could possibly go somewhere with cosplaying and creating costumes. 4. What genre of photography did you enjoy shooting the most ? I wasn't really sure what genre to call what I was shooting. The best way to describe it was "fine art", but I dislike this as it sounds very cliché, it was more just my style rather than a genre. 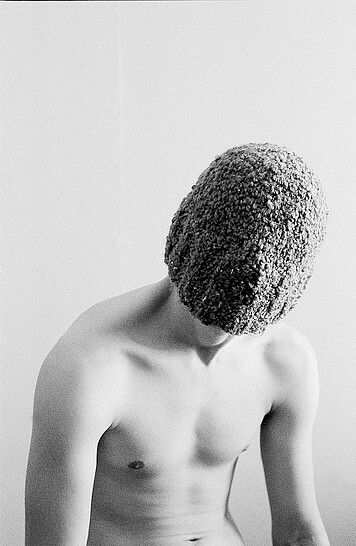 Shooting black and white film and just being a little bit weird, is all I can describe it as being.
" I wasn't really sure what genre to call what I was shooting. The best way to describe it was "fine art", but I dislike this as it sounds very cliché, it was more just my style rather than a genre." 5. Are there any photographers or artists that inspired you during the course of your studies? How ? There weren’t too many people that truly inspired me from the heart, but my favorite photographer would probably be Martin Stranka, I love his work so much and I still do now. His work inspired me to work on a dreamesque project, where I photographed weird and surreal work and enjoyed it but only for a short period. 6. What are your aspirations for the future ? I'm still trying to find my feet after my photography course, but I'd like to see if I could go into working on commissioning props and costumes, this would be in the near future. 7. Tell us more about the costume you created for the Free Range Exhibition at the Truman Brewery. Why did you choose this particular character ? 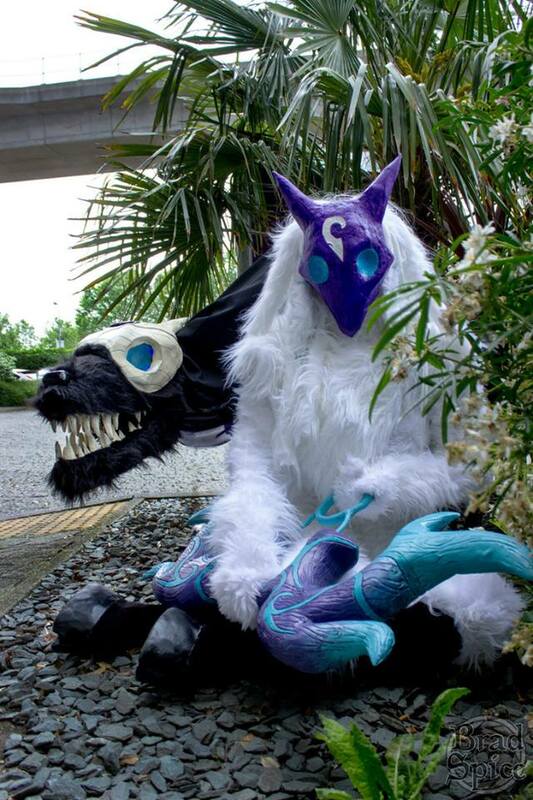 The character I showed at the Free Range show is called Kindred, she appears in an online game called League of Legends. I play this a lot and her character stood out the most for me, she is still quite new to the game. Wolf: "Lamb, tell me a story." Lamb: "There was once a pale man with dark hair who was lonely." Wolf: "Why was it lonely?" Lamb: "All things must meet this man, so they shunned him." Wolf: "Did he chase them all?" Lamb: "He took an axe and split himself in two right down the middle." Wolf: "So he would always have a friend?" Lamb: "So he would always have a friend." 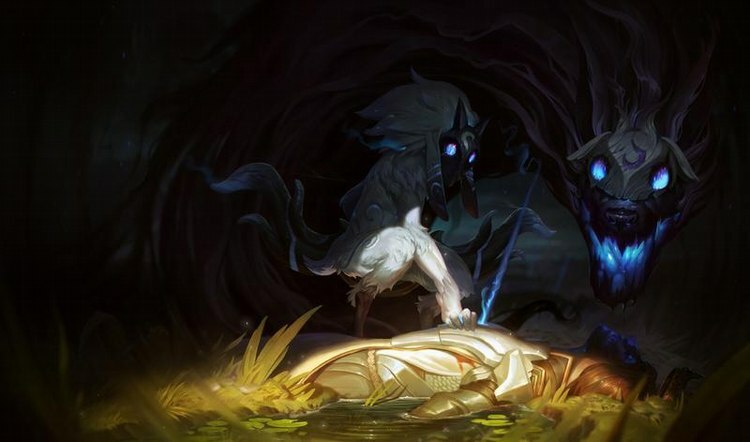 A small extract from the game, the story of Kindred; basically death split himself in two and created lamb and wolf (Kindred). There is a lot more on their backstory but this would turn into an essay. I chose this character because I played her a lot and I love the character design and just generally how she looks. At the convection, my boyfriend had the wolf. 8. What do you think of the Creative Community in London ? I believe the creative community of London is ever growing and will always continue to grow.
" The only problem is standing out in the crowd and getting your work out there among the sea of other creative. "